This story focuses on John and Toshiko and is set in Japan, where they meet while John is buying a horse from her brother, and in Australia on John’s horse property Merindah Park, where Toshiko, a vet, travels with John and the horses. I enjoyed the chemistry between the two characters, which was evident from the start of the novel. The cultural differences between the two and how they had to deal with them to move forward in a relationship at times made things between them difficult. It was especially difficult for Toshiko as she had been born into a culture where women defer to the men, especially the father in their wishes, family is more important than the individuals desires. Toshiko is running from a family expectation and the chemistry between John and Toshiko makes the dilemma she is running from clearer and more complicated. Will secrets stop and expectations stop these two being together? The horseracing industry isn’t one I know too much about, or horses in general for that matter. Renee Dahlia’s love of horses and knowledge of the industry certainly comes through in this story. Johns siblings were great characters and I enjoyed the rapport that they all had between each other as a family. I look forward to reading their stories. This was my first read by Suzanne Cass and I look forward to reading more of her books. This is book 3 in the Colours of the Earth series and though I haven’t read the first two books (something I plan on changing soon), this worked perfectly well as a standalone. W e meet Koen and Rose in the middle of nowhere, both on the run from their lives for completely different reasons. They are both really likeable and relatable characters, who in meeting each other change the course of each others lives. The path that their adventure takes them on once they decide to travel together is one fraught with danger and plenty of trouble. I really enjoyed the way these two interacted and the way their relationship blossomed as they ran from danger. I loved Roen’s character especially and was hoping he would come to realise how special a person he was. With plenty of suspense and a budding romance, this was a really enjoyable read. Every time Victoria Purman releases a new novel, I know I’m going to find great characters; with her historical novels, I know I’m going to learn about a part of Australian history that I had very little knowledge of before picking up her book. 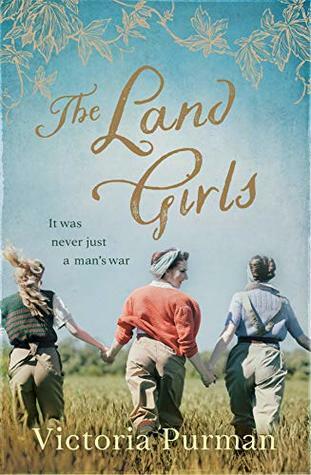 In The Land Girls, she draws on the experiences of women from The Women’s Land Army as well as those left behind to do the jobs the men have left when they joined the armed forces during WWII, to weave an emotional tale of love, loss and courage. I thoroughly enjoyed this novel and learning about this important part of our history. There are three main female characters whose lives we follow, Flora, Lily and Betty, I loved each one of them, working with them on the farms, sharing their losses and heartbreak all the while discovering so much about themselves. My favourite of these characters though was Flora. I really engaged with her, whether it was because she was older and still searching for her place, her loyalty to her family and those she called friends, or just her wonderful character, I loved the journey that the Land Army took her on. Flora meets Charles during her first posting as a Land Girl and I loved watching the relationship between the two of them grow and change them. I held so much hope for the two of them and the future. There were many emotional moments throughout this story, as I’m sure you can imagine, happy as well as sad ones. And it has a wonderful ending 💕. 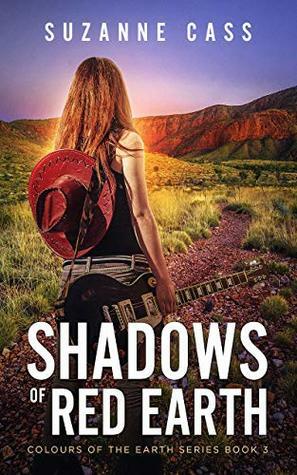 Thanks to NetGalley and Harlequin Australia for a digital copy of this novel in return for an honest review. Welcome to another round of book Bingo, it’s already getting tougher each week to chose a square and a book to match, I think I’m going to need to pick a square and find a book that fits each fortnight from now on. This round I’ve chosen Themes of Inequality and used the novel Small Great Things by Jodi Picoult. I listened to this in my car and was horror struck at times by the racism portrayed, shaking my head in disbelief at the way people think and behave; despite knowing that this is an actual truth unfortunately in our society. I still find it hard to get my head around, the hatred and behaviour of people towards another because of the colour of their skin. Their baby dies and Ruth is thrown under a bus by her hospital and then by the family who have her charged with murder. Her court lawyer is a white woman Kennedy McQuarrie, who takes Ruth’s case to heart because of something Ruth says and fights to stay on her case. This is a learning curve for Ruth and Kennedy, race is NOT spoken about in a court of law, EVER. The trial is mind-blowing as is the case itself. It is mentioned more than once “if this was a white nurse, we wouldn’t even be here”. There is a scene where Kennedy is talking to her mother about racism and how it feels like they haven’t come anywhere in all these years of fighting for equality, her mother responds by saying from where she sits she’s amazed how far they’ve come. It may be changed from what it was 50 years ago, but it’s not enough. We all need to help end inequality due to race by being people who don’t allow others to spout racist jokes or slurs, by standing up and saying this isn’t the right way to talk or behave. By not being complicit in racism by standing by and watching it happen. Ruth has had to endure so much inequality throughout her life, which as a white person I can’t imagine. She teaches Kennedy some huge lessons about inequality and racism as this story unfolds. And of course us as readers or listeners. This is an important story and once again author Jodi Picoult is not afraid to tackle the difficult issues, the ones people want to ignore and forget about, unless they are the ones facing them. What can I possibly say about this book to convey how much I loved it. I was lucky enough to read the first two drafts of this novel and they both blew me away, but this final copy, wow, Athena has written a psychological thriller that had my heart in my throat from the opening scene. At times the intensity was such that I had to put the book down and take a deep breath. At others I wanted to reach in and slap Derek, her husband so badly I was clenching my jaw and gasping in disbelief. I have one paperback copy (Australia only due to postage) and two ebook copies (Australia & International) to giveaway to readers of my blog. Leave a comment and show Athena some love by adding her book on goodreads or liking her Facebook page and you’ll be in the draw for a copy of this fabulous book. Please indicate if you are a international reader. For another chance to win read my Q&A with Athena and leave a comment on that post as there’s a copy to win there also. About the book: An emotionally gripping romantic thriller, this is a novel of love, marriage, deception and murder. It’s one thing to discover the man you married is not who you think he is. It’s another thing entirely to prove it. After all, who is going to take the word of an unstable woman who’s never fully recovered from the heartbreak of losing her child?